Dyrk Godby is a cowboy, western artist and a singer/songwriter. He was raised on working horse ranches in Idaho, Oregon and Nevada, blessing him with a love and respect for quality equine stock. His connection with horses and the western lifestyle has flavored every aspect of his life, and is brilliantly expressed in his art. Dyrk's paintings are detailed — highlighting the beauty and grace of horses, and the rich heritage of ranching life. His music is insightful, reflecting the lifestyle and culture of the American cowboy. 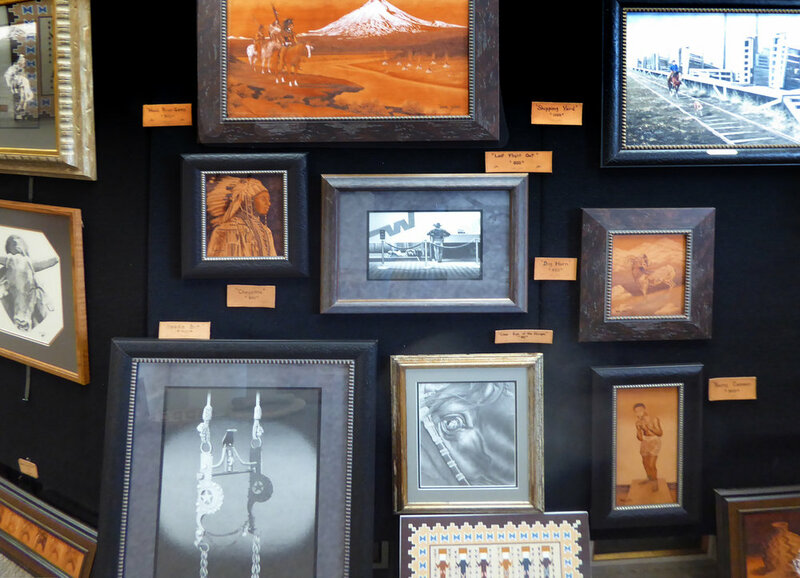 Dyrk's original artwork on leather retains that detailed beauty of the American West. Beautiful handcrafted leather briefcases, purses and Bible covers are hand burned with exquisite images of cowboys, cowgirls and the great American ranch life, each piece is a one-of-a-kind work of art. If you would like to learn more about Dyrk and his art, visit his website. You can see like him on Facebook by clicking here.